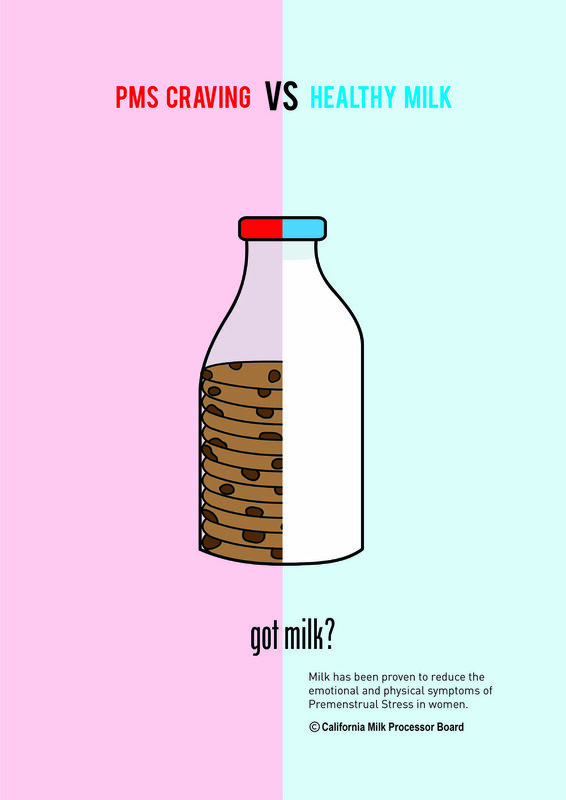 the original got milk campaign that was released in 2011, was offensive as it depicted men helplessly carrying cartons of milk to try to solve the 'mood swings' that occur when a woman is undergoing the effects of premenstrual stress. 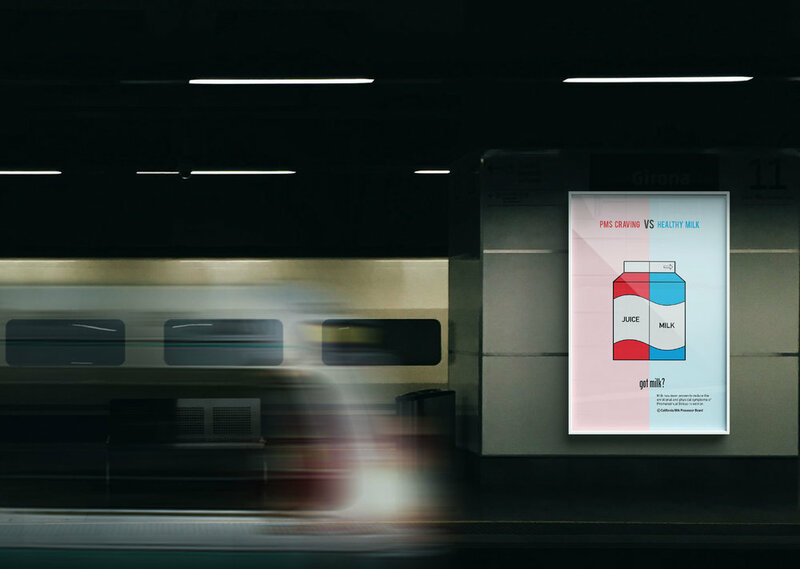 THe revised campaign aims to encourage woman to pick a healthier choice that has been proven to reduce the emotional and physical symptoms of premenstrual stress in women. 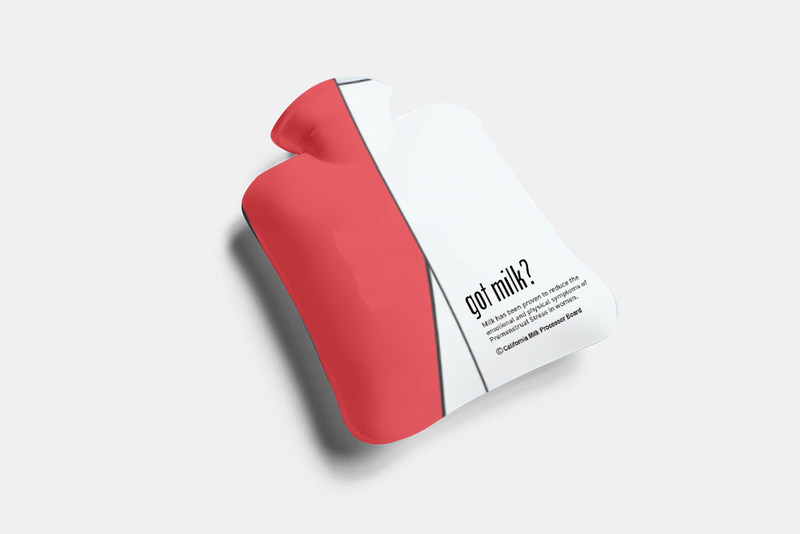 The campaign artwork is accompanied with appropriate collateral where the campaign would be advertised such as women's health magazine as well as, thermal bags that are used to help ease cramps and lower back pain.